Mom or dad: what has Caitlyn asked her children to call her? Caitlyn Jenner’s children are reportedly still calling her “Dad”. The 65-year-old was known as Bruce until unveiling her new identity on the cover of Vanity Fair magazine earlier this week. But while Caitlyn is hopeful her family will in time come to fully accept her female side, she is said to understand that this might be a lengthy process. In the meantime, Caitlyn is apparently more than happy for her six children to still call her by her former moniker. "[Caitlyn] spoke to each of the kids separately and told them to take their time in getting used to this," a source close to the Jenner family told People.com. "She would prefer not to be called 'Bruce,' but told the kids that they could still call her 'Dad,' at least for now." 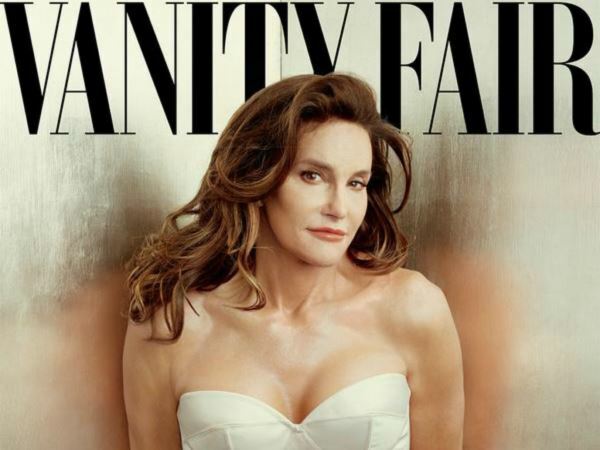 Caitlyn caused a stir on the internet after the Vanity Fair cover hit the newsstands. However, the source insists that while Caitlyn’s offspring are more than supportive of their parent’s change in identity, they might find it difficult to switch to calling her “Mother” or a similar female name. “Caitlyn has been really understanding that it doesn't come naturally for anyone," the source added. "No one expects this change to happen overnight. If one of the boys slips up, it's not a big deal." US TV Network E! announced earlier this week that Caitlyn will be the focus of an eight-part documentary series, entitled I Am Cait. It will premiere on July 26, and a teaser clip has been released showing Caitlyn getting used to life as a woman. The video includes her doing her make-up in the mirror and telling the cameras she is the "new normal".